Edvard Munch was born on December 12, 1863 in Norway. Munch went to art school at the Royal School of Design. 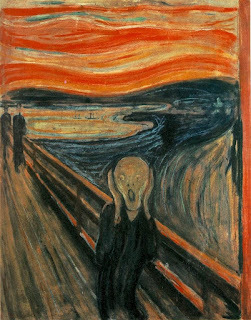 Munch’s most famous painting is “The Scream” painted in 1893. 1. His father was a priest. 2. He was heavily influenced by artists Paul Gauguin, Vincent van Gogh and Henri de Toulouse-Lautrec. 3. Munch referred to his paintings as his “children” and had a hard time giving them up. Munch died on January 23, 1944 in Oslo, Norway.